In what is being seen as a huge blow to the Central Government’s scheme to link essential services with the “Aadhaar card”, the Supreme Court has directed the Centre not to make it mandatory for availing government benefits and services. A Bench headed by Justice B.S. Chauhan pointed at the shortcomings of the Aadhaar card scheme of the Unique Identification Authority of India (UIDAI), and said that “UID number should not be necessary for essential services such as gas connections, vehicle registration, scholarships, marriage registration, salaries and provident fund”. In another important observation, the court said the Aadhaar cards should not be issued to “illegal immigrants”since that would legitimise their stay in the country. This observation is critical in the light of the reports that a large number of Bangladeshi illegal immigrants have been issued Aadhaar cards. The observation was given by the Apex Court while hearing a batch of petitions against the decisions of some states to make Aadhaar cards compulsory for availing various facilities, including Provident Fund disbursals and marriage and property registrations. Representing the petitioner, retired Karnataka High Court judge K Puttaswamy, Senior counsel Anil Divan submitted to the Bench that indiscriminate issuance of Aadhaar numbers to all residents, including illegal migrants, created a serious threat to national security. He also contended that linking the Aadhaar card number to avail benefits of welfare schemes under the Food Security Bill, cooking gas subsidy, PF and direct benefit transfer, made it mandatory in nature. The petitioner has sought a stay on the implementation of the scheme. The Solicitor General Mohan Parasaran appearing on behalf of the Centre argued that Aadhaar card is purely voluntary and there is no need for interim directions. 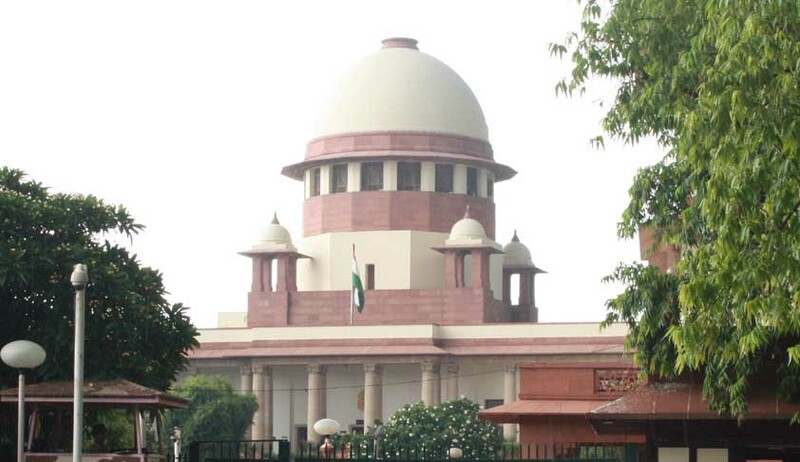 After clarifying the voluntary nature of Aadhaar cards, the Solicitor General requested the court not to pass an interim order restraining issuance of these cards to illegal migrants on the basis of their place of residence.The bench, however, said, "How does this order affect the Union government? If we say the Aadhaar cards must not be issued to illegal migrants, who gets affected? Why can't the government check whether a person is an Indian citizen or not before issuing the card?" This observation is a serious setback to the Unique Identification Authority of India (UDAI), an entity instituted by UPA-2 for rolling out the ambitious Aadhaar scheme. It must be noted that the UDAI enjoys no legal backing. But the SC order will come as a respite to citizens who have been harassed by the growing demand of authorities to link delivery of a wide range of services and subsidies to Aadhaar cards. Given the huge number of complaints about access to the Aadhaar cards, the insistence by authorities has become an irritant for a vast majority of households.